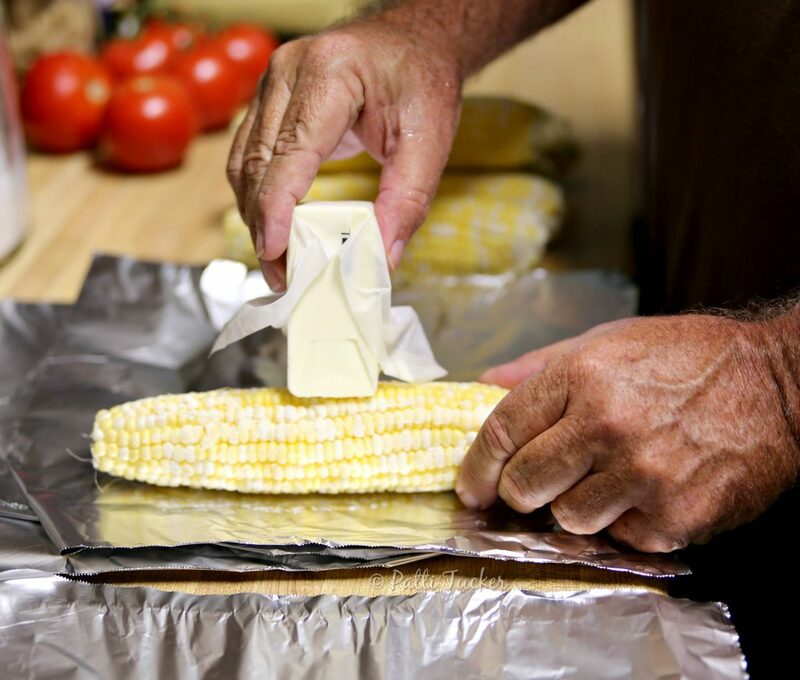 When I think of summer, grilled corn on the cob is one of the things I look forward to eating, but did you know making corn on the cob is easy peasy in the oven? 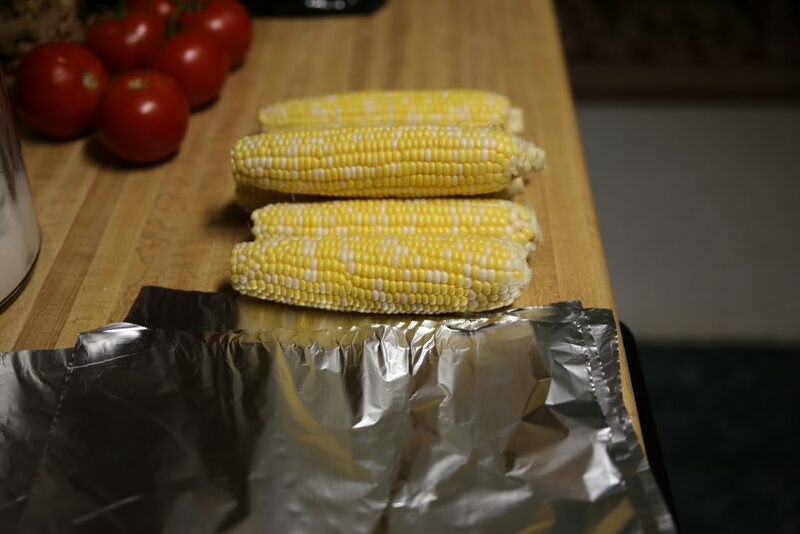 When Garry smokes or grills, the pit is typically packed to the seams and there is no room for corn. OMT! 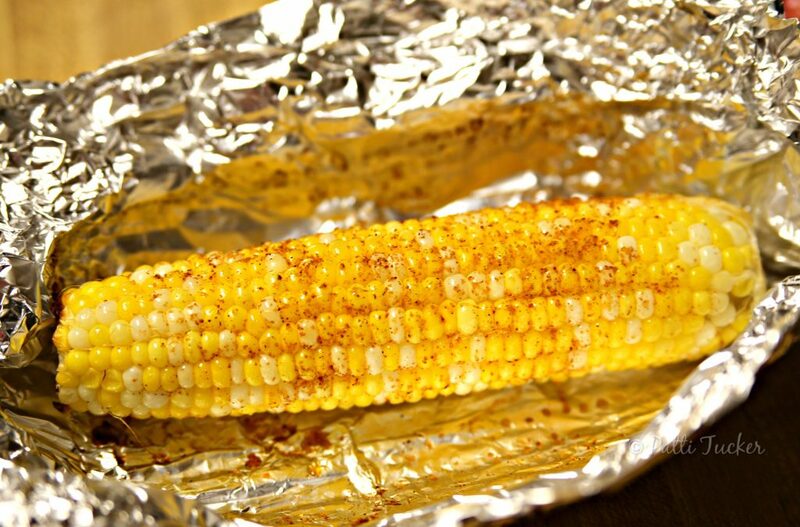 has an easy and delicious solution: oven-baked corn on the cob! 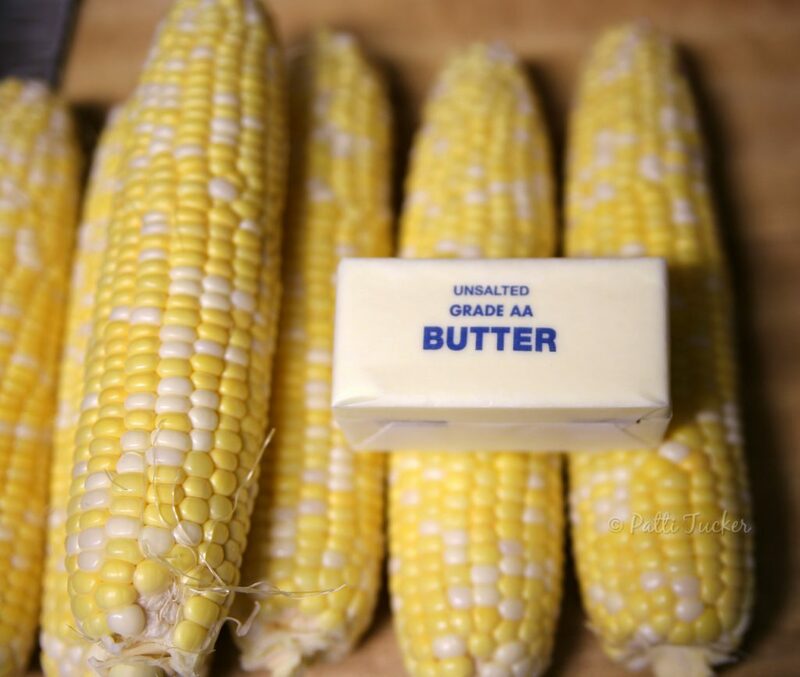 Using cold butter works best. #3: After you buttered each cob, grab whatever spices suits your mood. My favorite go-to: Fiesta Pinto Bean seasoning. #5: When done, carefully unwrap and dig in! 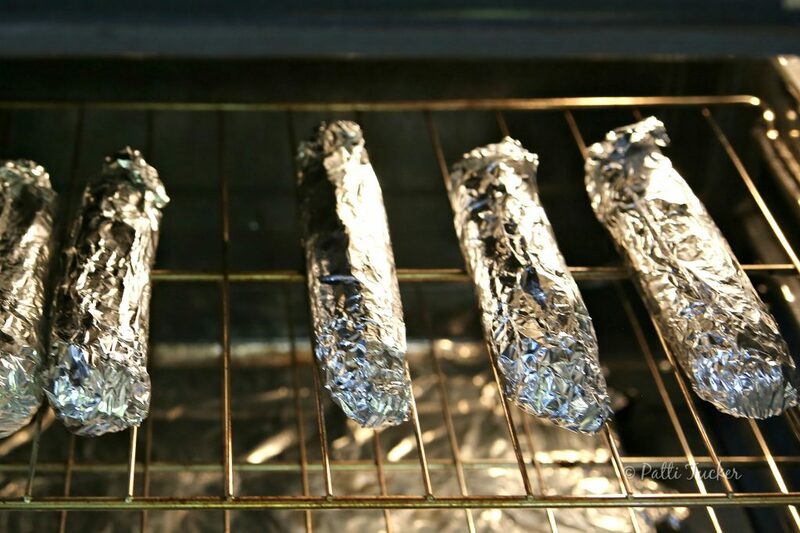 PRO TIP #1: I have slipped corn into the oven while a main dish was cooking at a lower temp. I simply adjusted the time (I left the corn in about 15 minutes longer) and it worked perfectly. PRO TIP #2: I ALWAYS make more than I need for the meal at hand because seasoned corn is good in casseroles (see link at beginning of post), for corn salsa, or for leftovers later in the week. PRO TIP #3: This is a good side for any gathering, for any time of the year, but especially in the winter when folks are craving a little piece of summer. It’s easy to make and easy to take. 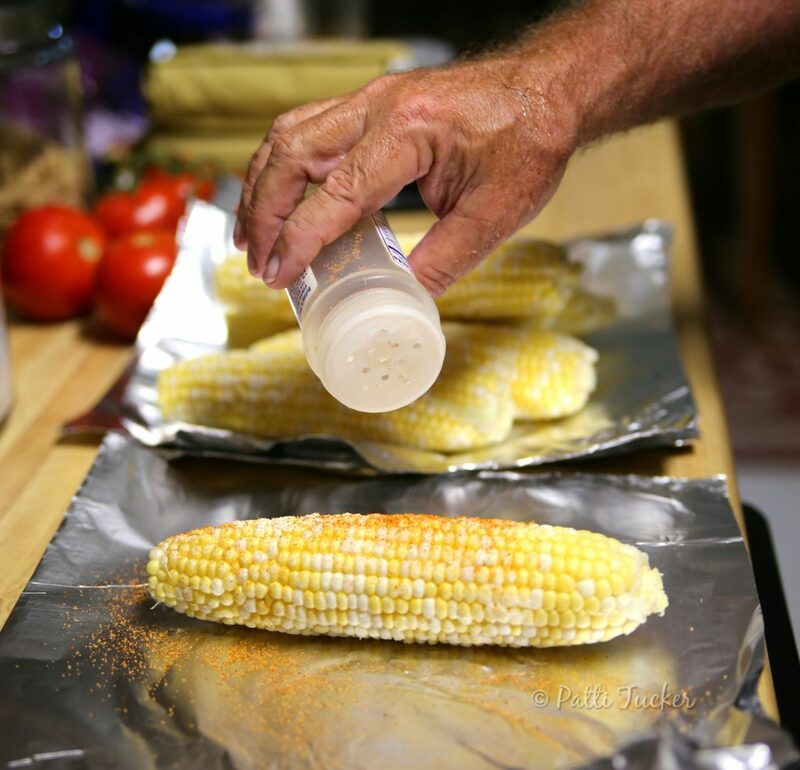 I make this seasoned corn year-round, especially in the winter when I’m missing the tastes of summer. 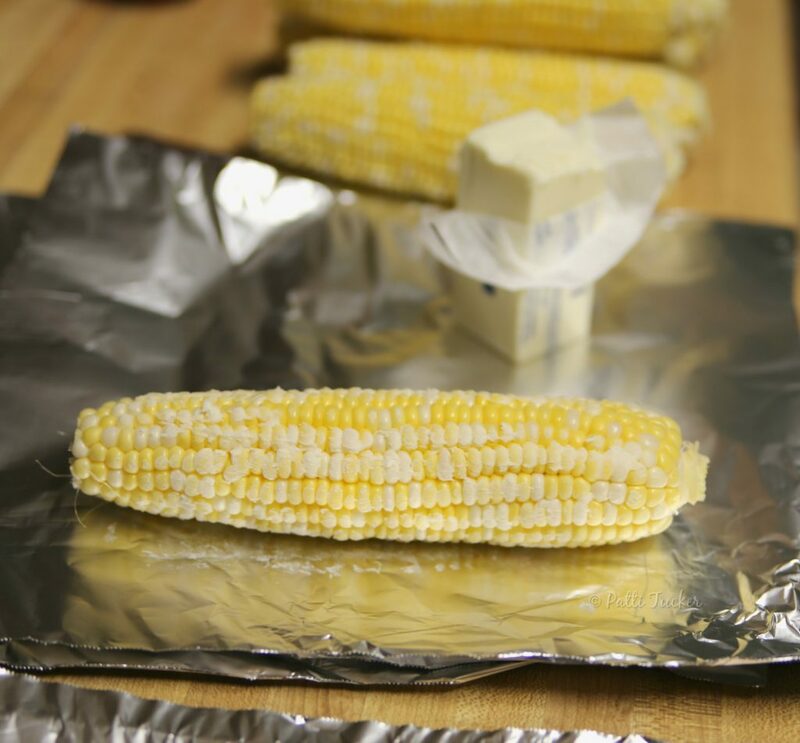 Never tried corn on the cob from the oven, looks easy enough. Found you on Grandma’s Briefs Link Party. We make this often in the winter! 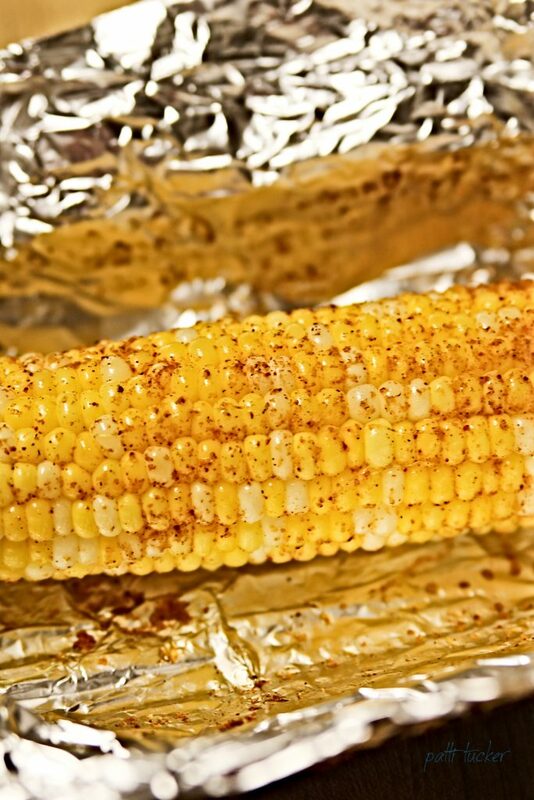 I love corn on the cob that’s grilled and smoked. My does this corn look fabulous. I could eat it right now. Thank you for sharing at Foodie Friday.